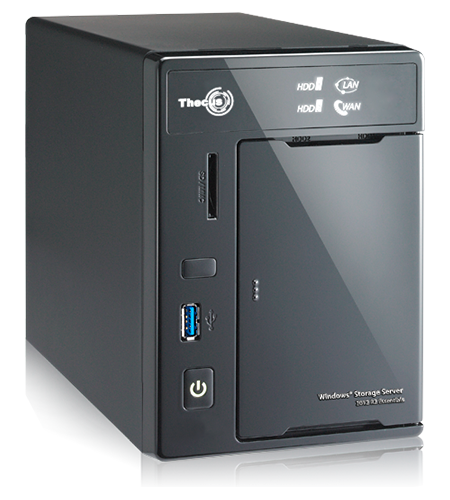 Thecus has teamed up with HEXUS to give our readers the chance to win a dual-bay W2000 NAS! Armed with an Intel processor and running Microsoft's Windows Storage Server 2012 R2 Essentials operating system, the W2000 allows simplified integration of Microsoft’s cloud-based applications and services, while enabling small businesses to "protect, centralise, organise, and access their data anywhere by using almost any device." The competition winner will be picked at random from all eligible entries that arrive by midnight of the closing date, April 19, 2015. The winners will be notified via email by April 24, 2015. The winner must claim their prize within 7 days of the promoter sending notification. If the prize is unclaimed after this time, HEXUS reserves the right to offer the unclaimed prize to a substitute winner selected in accordance with these rules. The prize is a Thecus W2000 NAS. Thanks again, Hexus and sponsors. Luck to all.